Pat O’Donnell is a partner with the firm Harris Wiltshire & Grannis LLP, where his practice focuses on government enforcement matters, particularly white-collar criminal defense, and complex civil litigation. Mr. O’Donnell’s enforcement practice includes both civil and white-collar criminal investigations and prosecutions. His clients have included private companies and individual executives, a university, a Congressman, and other public officials. He has represented those clients in a wide variety of substantive cases, including matters focused on the False Claims Act, tax evasion, “off-label” use of pharmaceuticals, antitrust, securities fraud, bribery, extortion, environmental crimes, accounting fraud, and public corruption. Working with the firm’s telecommunications practice, O’Donnell has also guided communications companies in responding to federal regulatory investigations, including several investigations involving the FCC’s universal-service subsidy program. Mr. O’Donnell also has extensive experience with controversies related to complex loan-securitization processes and the mortgage market. 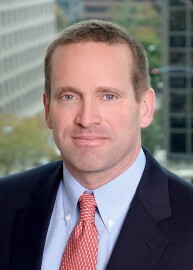 A large part of Mr. O’Donnell’s practice has focused on international legal disputes, and in particular the extraterritorial application of US laws. He has represented executives in Asia and Europe facing US investigations and indictment, and defended international companies in US civil litigation. He was recognized by Super Lawyers magazine from 2012-2016 for White Collar Criminal Defense.